We have been searching for a smaller mobile tool cart to complement the large tool chest we acquired back in 2009. 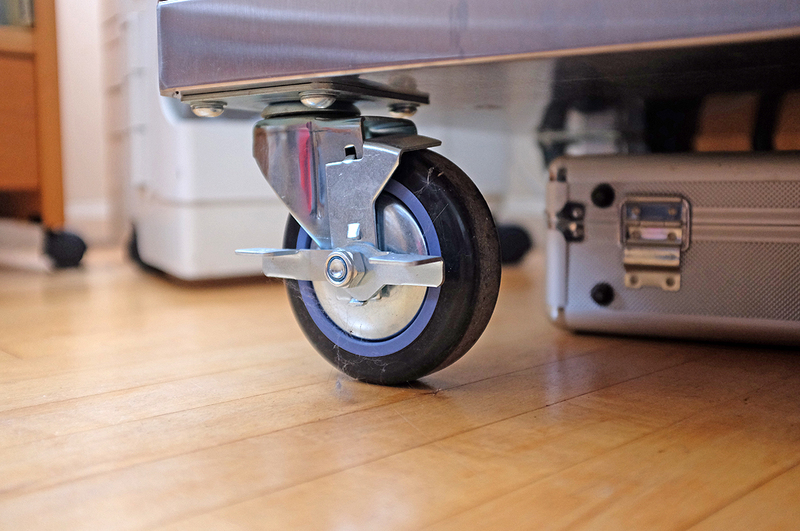 After searching for way longer than we thought we would, we finally found the perfect unit for our needs: the 27″x 40″ 6-Drawer Stainless Steel Roller Cart from Kobalt. We chose the Kobalt unit over a host of others because it is heavy-duty, well-constructed, and has a top which doubles as a work surface. This feature is especially welcome as we never have enough space for our projects! 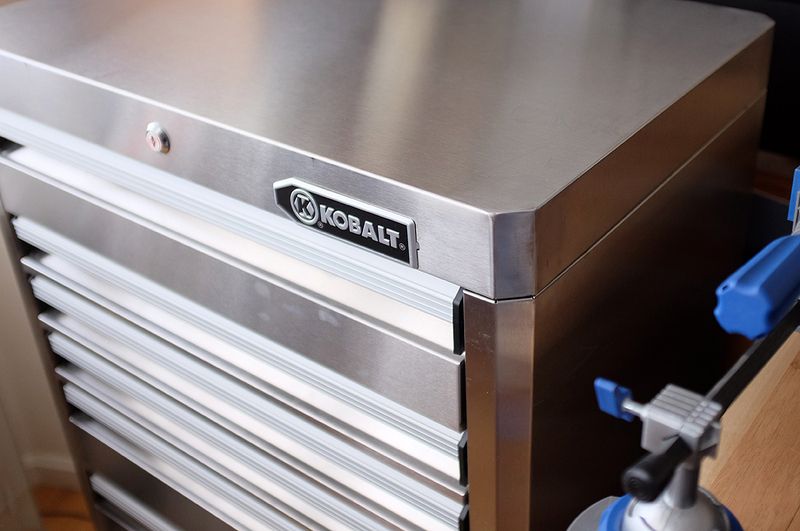 The drawers of the Kobalt tool cart are similar to the other heavy-duty units we have looked at in the past (Craftsman, Steelcase). 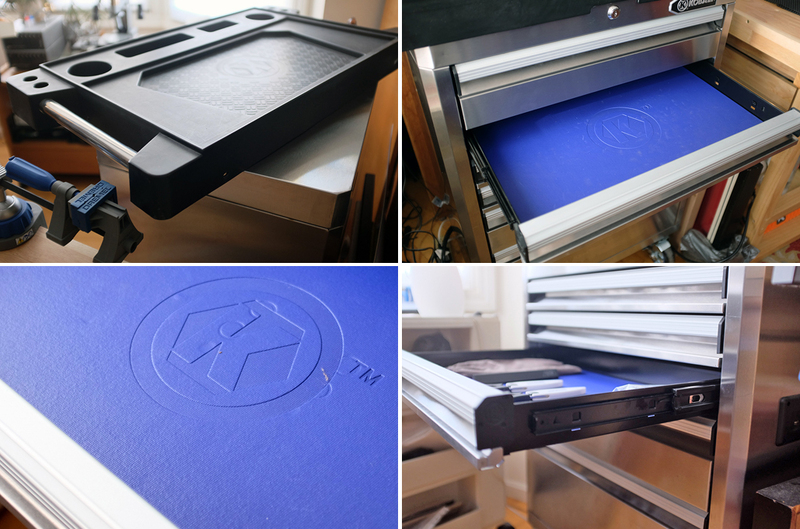 All of the drawers are lined with a non-slip rubberized mat to keep the items inside from sliding around when then cart is moved. The full-extension slides allow the drawers to be pulled all the way out for access to things in the back. 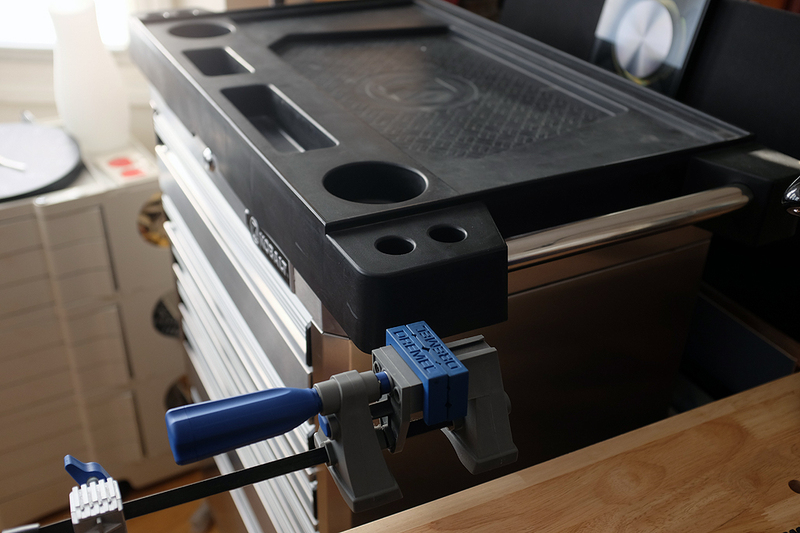 While a tool cart has to be functional, it doesn’t mean it can’t look great while doing it. One way to do that is to skin it using stainless steel—which the Kobalt does—instead of just painted metal. Another nice touch is the integrated power strip on the side. Not only does it have three AC sockets, there are two USB ports in the strip; very convenient for charging a variety of digital devices. When fully loaded the cart is rated to be able handle close to a 1000 lbs! The casters, which must support all that weight, are beefy enough to meet the challenge. They are 5″ in diameter, made of solid rubber, and the two on the right have locking brakes so the cart will stay where you put it until you want to move it. 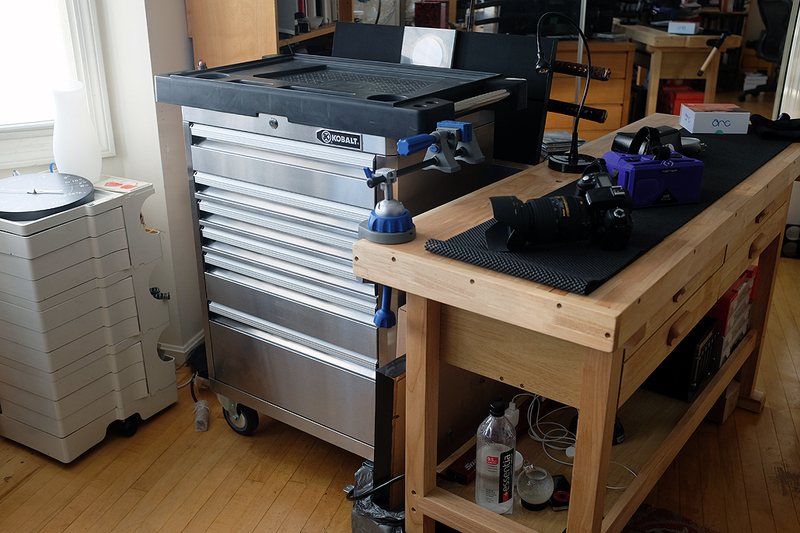 We have had this Kobalt tool chest for over six months and have found it to be an excellent addition to our workspace. We look forward to decades of service from it and expect it to work as well and look as good in the future as it does right now.